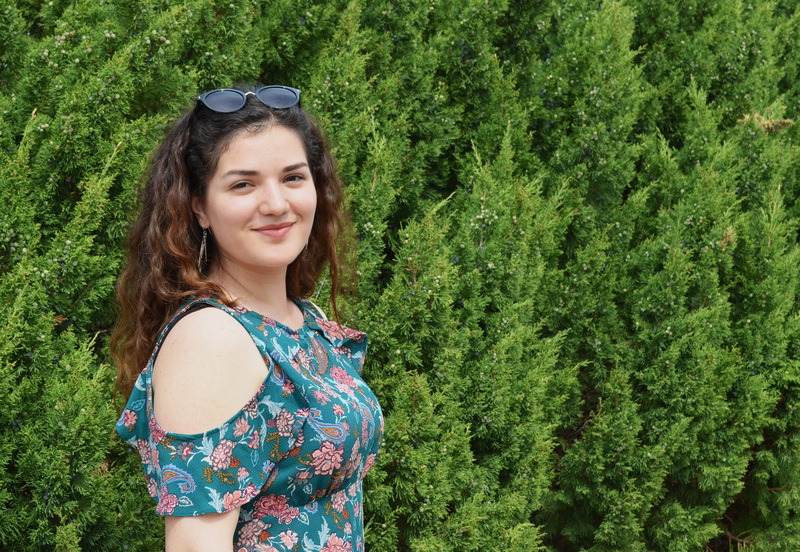 Senior and Bachelor of Music student Sally Alvarado will be graduating this June with a major in Choral/General Music Education and minor in Teaching English as a Second Language (ESL). Though four years has gone by fast, Alvarado has made many friends and memories along the way by joining many different student organizations. In hopes of meeting musicians outside of the voice department and students in the college, Alvarado joined two Greek organizations, Sigma Alpha Iota (SAI) and Kappa Kappa Gamma. For Alvarado, both of these organizations have fostered her goals of being part of a larger organization of shared values: “I was able to get to know so many amazing women in a way that meant I had a commitment as a friend, which is different from being involved in other organizations that serve more academic purposes.” Apart from these two organizations, Alvarado has been on the board for Deep Listeners of LU for the past year which has greatly enhanced her experience as a music education major. “The way that I think about listening and creating music is so different than it was when I came to Lawrence,” Alvarado mentioned. Alvarado’s Teaching ESL minor has been another important aspect of her time at Lawrence. In the college, two of her favorite classes have been Sociology of Education and Ethnicity and Cultural Diversity in Education, both taught by Bee Connell Mielke and Associate Professor of Education Stewart Purkey. Alvarado enjoyed his classes because, “[Purkey] really pushes his students to think deeply…understanding how race and socioeconomic status affects students and how ‘business as usual’ will not suffice.” Classes in the Education & Education Studies Departments along with voice lessons, studio and music education classes all prepared Alvarado for life after Lawrence. This fall, Alvarado has plans student-teaching in Appleton with elementary general music, middle school choir and high school (English Language Learners). Afterwards, she will be looking for teaching positions in Chicago, as well as finding opportunities at nonprofit organizations.